Beam Suntory, has announced the launch of a new limited-edition expression from its Basil Hayden’s Bourbon brand. 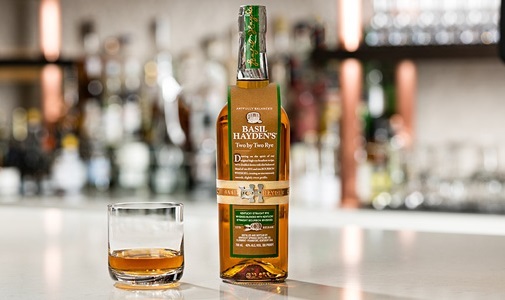 Basil Hayden’s Two by Two Rye (40% ABV) has been produced using a blend comprised of: 5 Year Old Kentucky Straight Ryes, 7 Year Old ‘high rye’ Kentucky Straight Rye, 13 Year Old Kentucky Straight Bourbon and a 6 Year Old Kentucky Straight Bourbon. Basil Hayden’s Two by Two Rye, is said by the brand to break category norms and offers whiskey fans the best of both worlds: the full spiciness of rye, complemented by the sweet characteristics and finish of bourbon. This latest launch, builds on the momentum set by the brands recent launches, which include: Basil Hayden’s Rye Whiskey and Basil Hayden’s Dark Rye. Basil Hayden’s Two by Two Rye, is now available in the US from specialist retailers, for a RRP of $44.99 - 750ml.